Vall d’Hebron University Hospital is the largest hospital complex in Catalonia and one of the largest in the Spanish state . It has a team of almost 7,000 professionals and a budget of 579 million euros. It currently serves a population of about 400,000 inhabitants. With more than 1,100 beds, the Hospital encompasses practically all medical and surgical specialties and has the assistance modalities that it needs for its coverage, as well as clinical services and clinical support units, university teaching centers, public health service companies, Research, laboratories and other facilities that complete the Hospital’s activity. 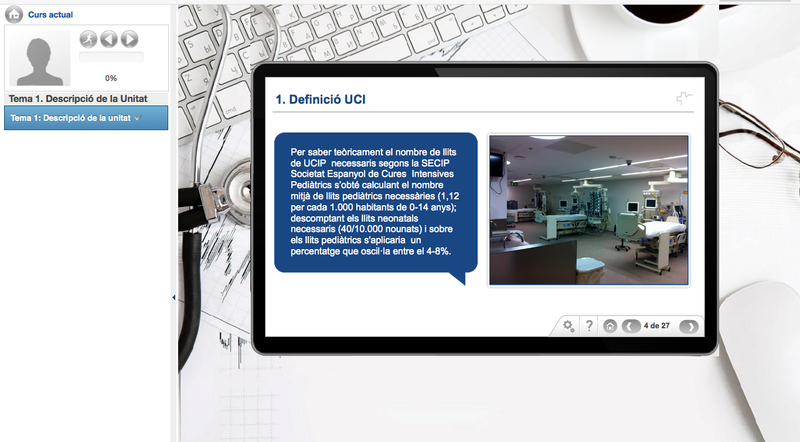 Contidos Dixitais carries out the technical maintenance of its virtual campus, the development of templates and content in multimedia format, and advice in the use of Authoring tools such as Reader Inspire, which facilitate production in a fast and scalable way by the team in the e-learning area of the Hospital. 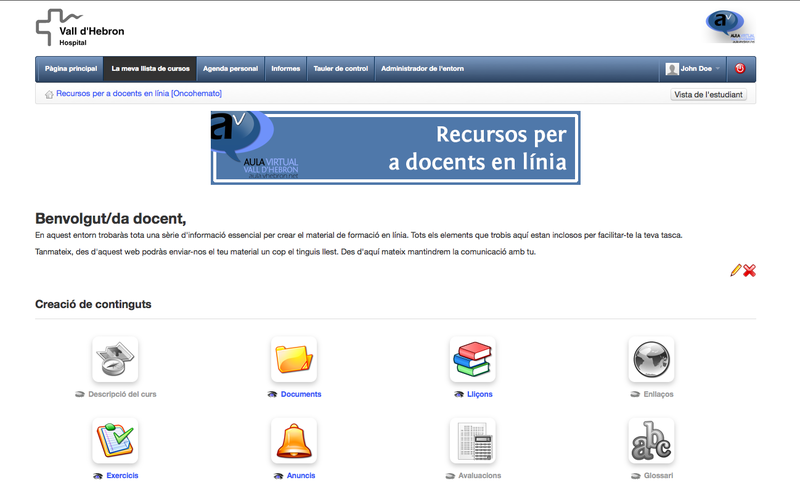 Desde Contidos Dixitais ayudo a otras empresas a implantar en su organización la plataforma de software libre y e-learning Chamilo. Creo en compartir más que en competir y por eso me encontrarás ayudando en lo que pueda en diferentes redes sociales. We provide e-learning solutions for companies that need to take care of the technical problems of training their employees or clients online.